Order in the next 3 hours, 15 minutes an 21 seconds for same day shipping. A pocket-sized self-inking rubber stamp - practical for on the move! 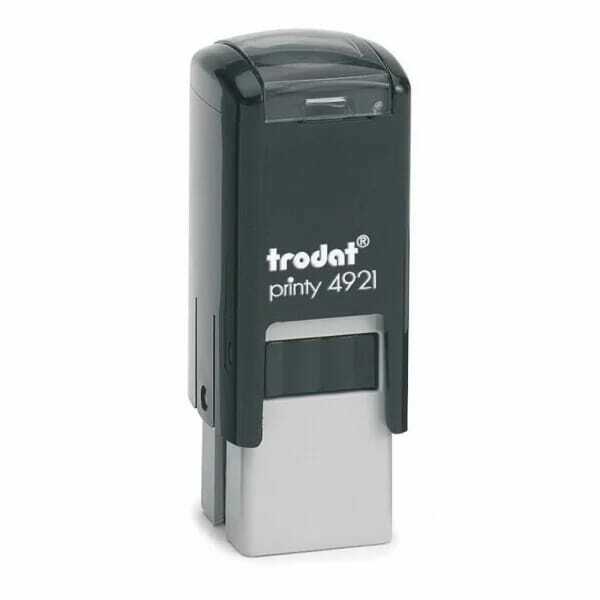 Trodat Printy 4921 creates a square 12 x12 mm impression, with a maximum of 2 lines, or a small logo. Recommended application: for printing custom logo/images or text on loyalty cards. Compatible replacement pads 6/4921 are available in black, blue, red, green or violet. Dry felt pads are suitable for special inks. Replacement pads are supplied in multiple packs of two. Customer evaluation for "Trodat Printy 4921 12 x 12 mm - 2 lines"